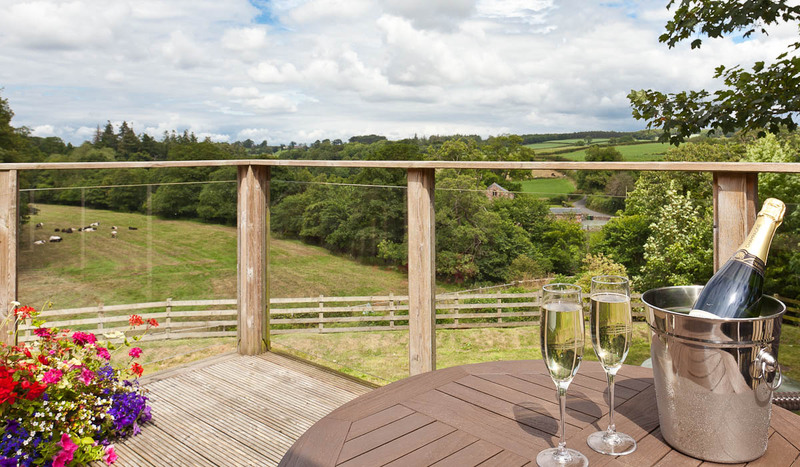 Hall Hills: Stylish self catering cottages offering ideal accommodation for your holiday in rolling Cumbria countryside, away from it all, with easy access to the Lake District. 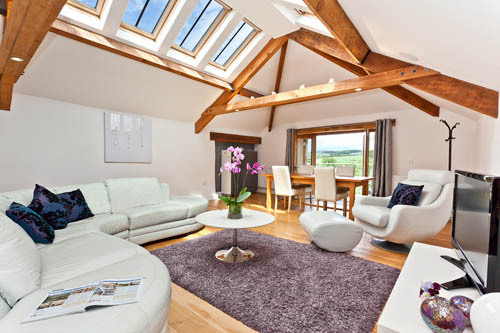 A multi award-winning collection of five modern holiday cottages created within 17th century sandstone barns. 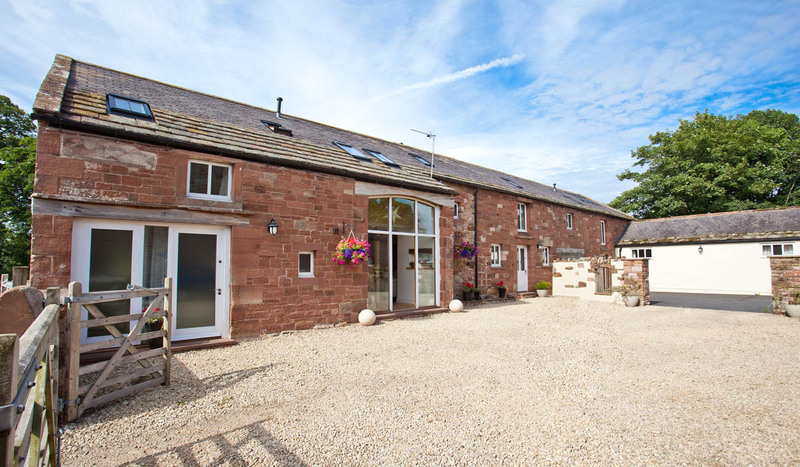 Peaceful location with uninterrupted views across open fields, and a stunning base from which to explore Cumbria, the Lake District, the Scottish Borders, Hadrian’s Wall and the City of Carlisle. 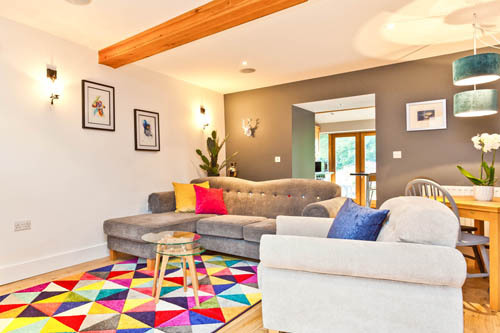 Hall Hills is owned and run by Jude and Tim Walker, and all five cottages have been individually designed to create superb holiday homes with all that you could need and more included in the price. Take a look at the cottages below and choose which one best suits your requirements or plan a group getaway and have exclusive use. There really is something for everyone at Hall Hills. 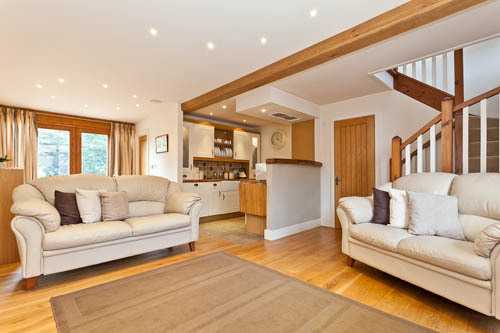 Why choose Hall Hills cottages? 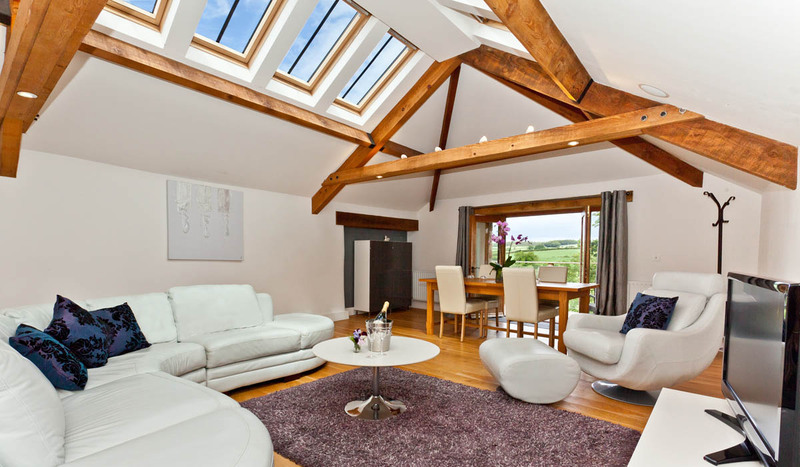 Previous guests have enthused about the high quality of the Hall Hills holiday cottages both in our guest book and online. Click to see some of the reviews on UpFrontReviews. 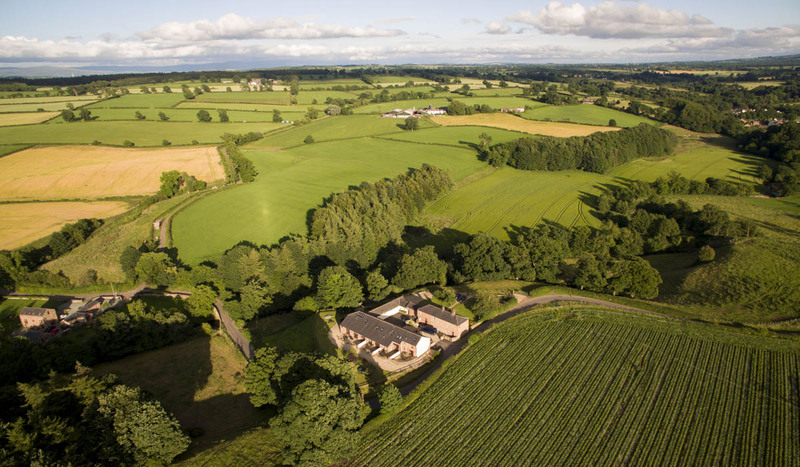 Click below to see a video of the Hall Hills holiday properties from the air in the rolling Cumbria countryside. Our dog-friendly property is called Yan. 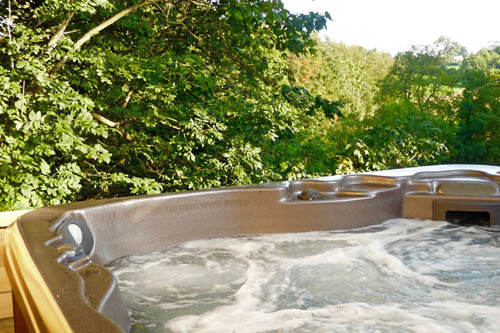 It sleeps up to four people plus a well-behaved dog, and it benefits from an enclosed patio so your dog can be out enjoying all the new sights and sounds while you enjoy a relaxing bath or browse through the morning papers. Then start a countryside walk right from your doorstep along numerous scenic footpaths and let your dog have a refreshing swim in the river. 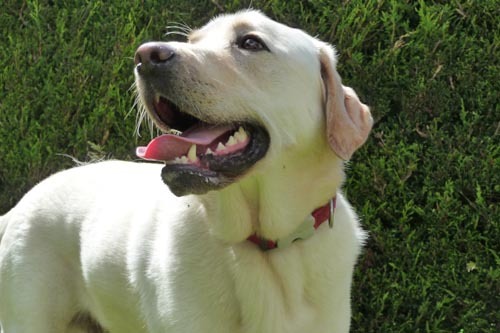 Lunch can be enjoyed in numerous dog-friendly places and many shops are used to visits from dogs. As parents of three we know only too well how hard it can be to find great holiday accommodation with great equipment for your little ones. So we have taken the time to equip our properties with all that you could require and save you lots of space in the car. We can provide so much more than a travel cot and a highchair because everyone who stays with us has been thought of and provided for. Even so, you may have a question so please feel free to get in touch and just ask away. All your dealings are with us, Jude and Tim the owners so we will personally ensure that we fulfill all of your requirements wherever possible. Here at Hall Hills we are able to offer the luxury of a personal chef to groups of over 10 for any event from afternoon tea to private dinner parties. 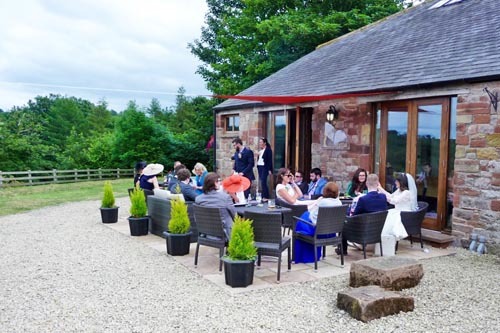 All catering events are able to enjoy the luxury surroundings of Chapter 7 where our waitresses will ensure your event runs smoothly and the Gud Fettal bar can be open at hours to suit. We can take care of everything from breakfast, picnic lunches and evening meals, all home cooked using fine local produce from England's most beautiful landscape. After a long campaign dating back to 1986, the Lake District was finally given the international recognition it deserves in 2017, when it was declared by UNESCO to be a World Heritage Site. That puts the Lake District up there with the likes of the Grand Canyon and the Taj Mahal as a must-see global destination of the utmost cultural significance. When announcing its decision, UNESCO highlighted the importance of the Lake District as an inspiration for writers and artists. Jude Walker - the proprietor of Hall Hills - was the winner of The Sheila Hensman Outstanding Customer Service Award 2014 - one of the Cumbria Tourism awards. 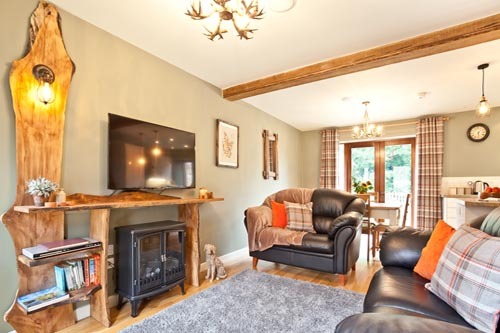 This follows the success in the previous year when Hall Hills was named Self Catering Holiday of the Year 2013 by Cumbria Tourism for the Lake District & Cumbria area. That was the third win for the cottages. 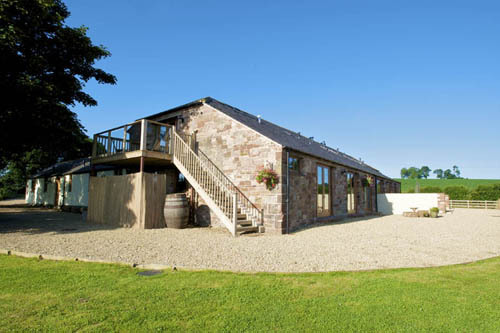 In 2009 the cottages won the title Self Catering Holiday of the Year both in the Cumbria and North-West England competitions.